We are honored to participate in Boston Children's Hospital "Shine Your Light" Initiative. BCH is one of our most valued customers and their mission and impact on our community is profound. 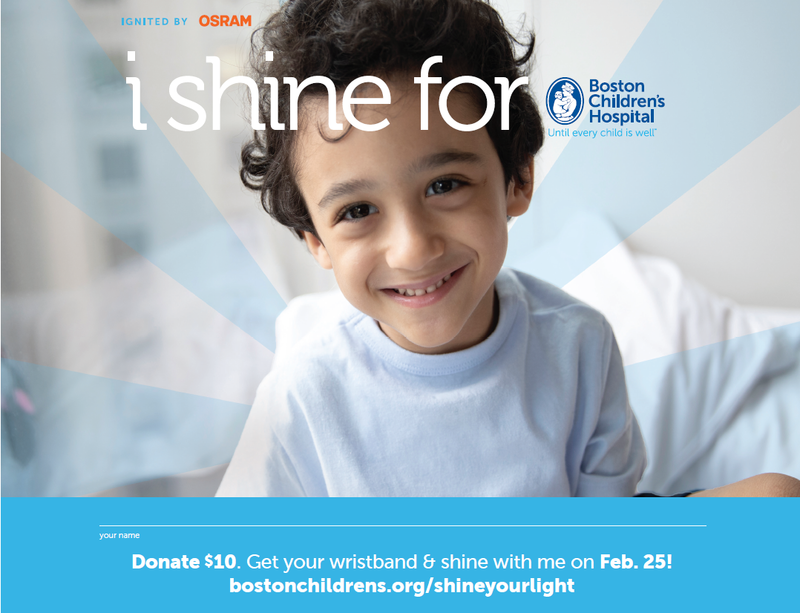 We look forward to shining with Boston on February 25th! Check out the video below to see highlights from last year's Shine Your Light. Thank you to all of our employees for participating with us!